The Extraordinary Form of the Mass, the Traditional Latin Mass is adding so much to our Liturgical life here at St. Gianna. As you may know by now, it’s the form of the Roman rite that nourished not only the greatest Saints and Doctors of the Church, but our very own Catholic ancestors. It’s a beautiful Liturgy, with more incense, Gregorian chants, classic hymns, bells, sacred silence, a profound sense of the Sacred, a greater emphasis on the Sacrificial aspects of the Mass, all offered with the mysterious and lovely sounds of the Latin language. 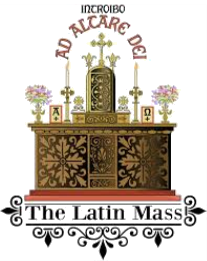 We are inviting you to join us to celebrate the Traditional Latin Mass EVERY SUNDAY at 12:30 PM. Hope you can join us!